An octuplet group consisting of men and women singer songwriters who have active solo careers. Main venue of activity is on SNS sites. Their average daily number of plays is 200,000 and their total number of plays is approximately 36 million. Their Ustream Live programs attract an average of 30,000 views and have earned 1st place on the viewing data rankings. 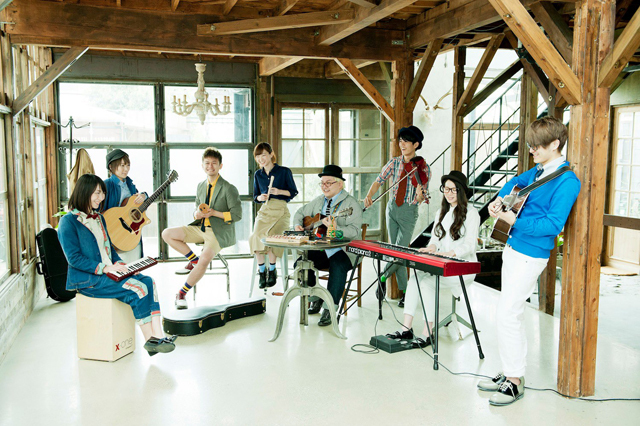 Their acoustic cover renditions of popular songs by artists such as AKB48, EXILE, Yuzu, Hikaru Utada, and Shoujo Jidai was what ignited their popularity. In addition to their beautiful voices, their love for singing and music that radiated from them in live performances was what grasped the hearts of many fans. Most of their live concert tickets have sold out within minutes after release.